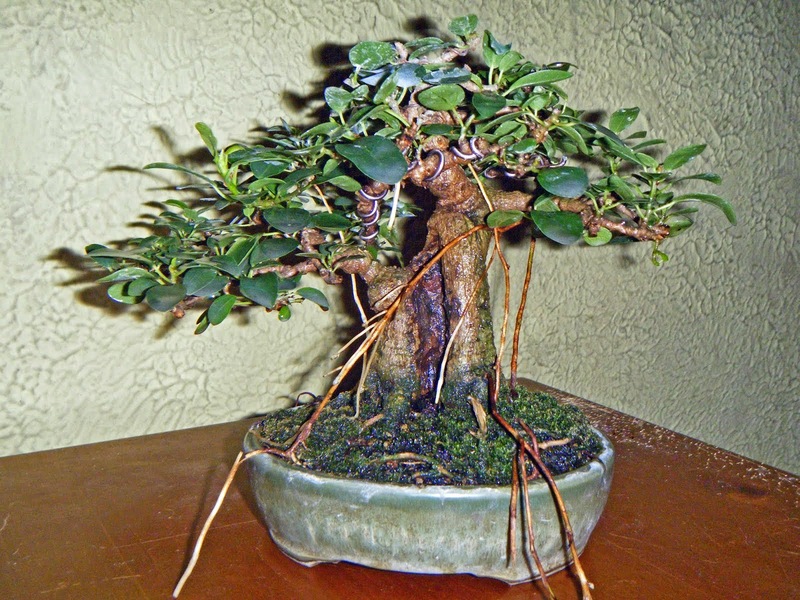 Bonsai in Hoosierland: "The Best-Laid Schemes;" Demo at Fair, Part 2. To help keep your interest alive (assuming you're interested to begin with,) here's a picture of my demo tree as a freshly-struck cutting, in late June of 2010. The main branch extension (yellow arrow) is now the primary trunk, and is almost as thick as the base of the cutting was three years ago. 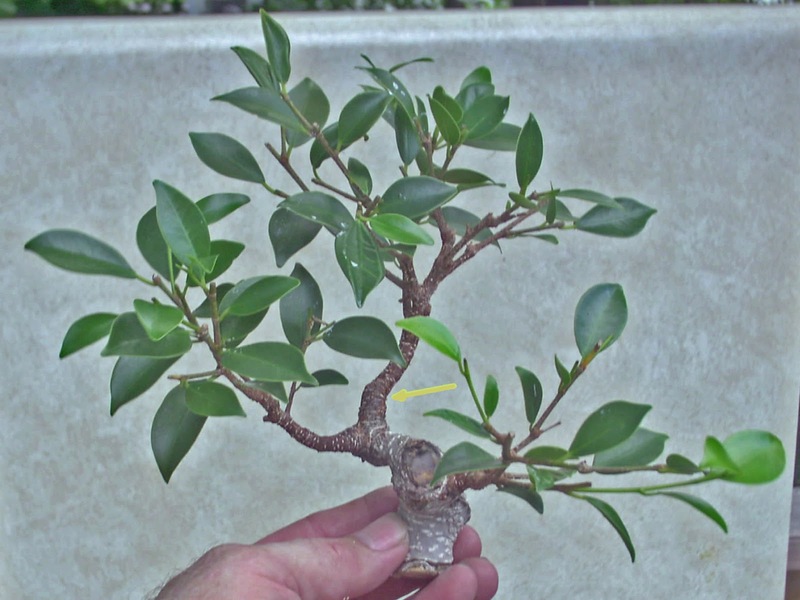 It was the top of another Ficus microcarpa; now an independent tree. Picture taken with my old camera. I hope to see as many of you as possible in October!